The criminal justice system is woefully inadequate to respond to sexual assault. Evidence issues, unpredictable juries, and the criminal burden of proof can make it difficult for sexual assault victims to receive justice in the criminal legal system. Too often, the decision of whether to prosecute comes down to the opinion of a single attorney. Charges often result in lenient plea agreements. Perpetrators can walk away without meaningful consequences. Even though the criminal justice system too often fails to adequately respond to sexual assault, victims don’t have to wait and hope that the police and the prosecutor are going to do the right thing. Instead, a sexual assault victim can take action on their own in order to hold the offender accountable. A civil trial puts the power in the hands of a sexual assault victim. They gather the evidence, present it to the court, and demand compensation that fairly represents their losses. If the jury agrees, a sexual assault victim can hear the jury declare the offender responsible for their actions. If you’re the victim of sexual assault in Maryland, you deserve justice. You can bring a civil case against the offender. You don’t have to fight alone. A Maryland sexual assault attorney can handle every aspect of the case on your behalf. They can show you how you can bring the offender to justice and receive compensation. We invite you to contact our team of sexual assault attorneys in Maryland. Our passion is helping deserving sexual assault victims bring claims and hold wrongdoers accountable. Don’t wait any longer. See how we can help you get the compensation, justice, and closure that you deserve. Use our online contact form, use our convenient messenger, or call us at (301) 220-0050 for a confidential consultation. The attorneys from CHASENBOSCOLO are ready to fight for justice on your behalf. You might think that you can wait for the police to take action in your sexual assault case. Unfortunately, the police too often lack the training to respond appropriately to sexual assault offenses. They may have their own biases, and they may not know how to thoroughly investigate the case and prepare it for prosecution. Even if the police do take action and your attacker is convicted for their crime, you will not receive any monetary compensation through a criminal case alone. Not only are civil claims more likely to be successful, but they are also the only way you can recover money to help pay for your medical expenses, therapy costs, and more. When you bring a civil claim for sexual assault with your Maryland sexual assault attorney, you bring a claim for the losses, both financial and emotional, that you have sustained as a result of the attack. Without an experienced attorney working for you, proving your case can be daunting. You may not know the rules for presenting evidence in court and what you need to do in order to build an effective case. You may not know how to prepare legal documents, make effective arguments, and value your claim. It’s up to you to prove your case. Working with an experienced attorney can help you be successful. An experienced Maryland sexual assault attorney knows how to independently investigate your case. They know how to collect evidence that’s critical to proving your claim. They can evaluate your claim to determine all of the parties that may be responsible for what happened. An employer, business, or third-party individuals may also share fault for their actions or inactions that contributed to the assault against you. The burden of proof is different in a civil trial than it is for a criminal trial, and the two cases are totally separate. In a civil sexual assault trial, you need to prove your case by a preponderance of the evidence. Proving a case by a preponderance of the evidence just means that your allegations are more likely than not to be true. This is much lower than the burden of proof required in criminal claims, beyond a reasonable doubt. This means that, even if your attacker is not held accountable in criminal court, you still have a good chance of prevailing in civil court. An experienced attorney helps you evaluate the burden of proof and gather the evidence that you need to succeed in your sexual assault claim. They can help you avoid errors that hurt your case. With each step, an experienced attorney helps you advance your case and avoid missteps that can stand in the way of you receiving the justice that you deserve. At CHASENBOSCOLO, we’ve helped victims receive hundreds of millions of dollars of deserved financial compensation. Our mission is to help good people when they’re victimized by sexual assault and other offenses. We’ve helped thousands of clients since we began in 1986. When you work with CHASENBOSCOLO, you’re working with a team of more than 90 legal professionals who have dedicated our lives to advocating on behalf of victims. There are 25 attorneys available to help you 24 hours a day. We work on your behalf, but we also empower you to understand the law and how the legal system works as we fight for justice for you. 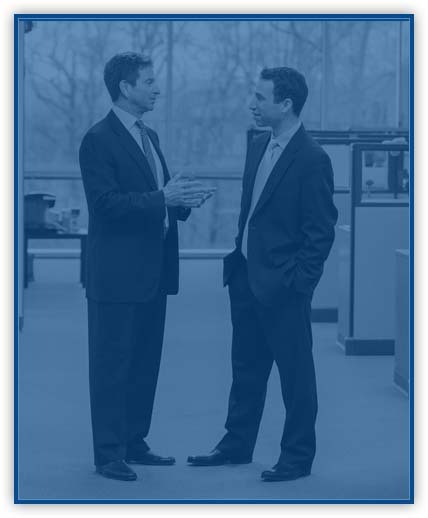 Our leaders, Barry M. Chasen and Benjamin T. Boscolo, each have 30 years of experience advocating for victims. They both have Martindale-Hubbel AV Preeminent ratings for their outstanding legal skills and experience. Both Barry Chasen and Benjamin Boscolo are American Association for Justice members. When CHASENBOSCOLO represents you, you get our No Fee Guarantee®. There’s no fee unless you win financial compensation. Our team is confident in our skills and we’re prepared to take your case as far as we need to in order to help you receive fair compensation. It’s our goal to minimize the burden of the legal process while helping you get top dollar for your claim. Each sexual assault case is complex. You may have physical, mental, and emotional scars. All of these injuries are deserving of compensation. In a sexual assault case, the mental and emotional scars can last for years to come, including PTSD, depression, and anxiety. Your physical injuries may also be devastating. Whatever the circumstances of your case, our attorneys are ready to help you value your case and pursue compensation. Our team handles a wide variety of sexual assault cases. Let our team evaluate your case and help you understand how the law applies to your claim. We handle all types of sexual assault claims including complex issues that may include preliminary motions and trial advocacy. We hope that this is your first and last time pursuing a claim for sexual assault. If it is, though, you are likely overwhelmed by the process. Below are the answers to some of our most frequently asked questions. We can also answer any specific questions you may have about your case when you call us today at (301) 220-0050. Does there have to be a criminal sexual assault case in order to recover damages? No. Even if the police refuse to investigate or the prosecutor declines charges, you may still bring a civil claim. The two are totally separate. It’s up to you to prove your case, but your claim doesn’t depend on anyone else giving the green light to criminal charges. How long do I have to bring a sexual assault claim in Maryland? You have one year to bring an action for assault in Maryland. However, you have three years to bring an action for personal injury. Your attorney can help you determine what time limit applies to your claim. To give yourself the best chance of success, contact a lawyer as soon as possible after your assault to get started. What is my sexual assault claim worth? A sexual assault claim can never undo the terrible damage that comes with being the victim of sexual assault. However, you can place a dollar value on your types of losses and suffering, and seek financial compensation as justice for what you’ve endured. The value of your sexual assault claim is a combination of your financial losses as well as your mental and emotional suffering. Your attorney can help you examine the case and determine its probable value. If you’ve been sexually assaulted, our Maryland attorneys have the skills, determination, and compassion to fight aggressively for you. We know how difficult it can be to find answers when you’re the victim of abuse. We’re prepared to help you take all of the necessary steps to find justice. Help is just a phone call away. Call us at (301) 220-0050 or use our messenger to speak with a team member right away. There’s never a cost to talk to us about your case and no fee for our services until you have a check in your hands. Let’s work together to get you the justice that you deserve.